I believe there are now three count-’em-three biographies about rock critics? (Not including former rock critics who became better known as musicians, i.e., Patti Smith.) Roxon, Paul Nelson, and Bangs — the only ones I know of anyway. Mother of Rock received almost no notices, at least in this part of the universe, when it was first published in 2002, so I’ve no idea if it’s any good or not. The index is fairly promising. I missed this one when it came out, also — finally discovered a remaindered copy (for $8.48 US, no less) at Half Price Books in 2007. 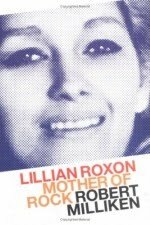 Lillian Roxon died in 1973, just as I was getting into rockwriting, so I never had much concept of her persona, even though I consulted her Rock Encyclopedia (a treasured Xmas present from my wife’s cousin one year)throughout my Creem-writing days. Milliken’s bio is a good read, and reveals Roxon’s family background and journalistic experience as much more complex than I’d ever imagined. I’ll leave that edifying perusal to you, though I’ll insert one spoiler alert: Roxon encountered this very week’s major newsmaker — Rupert Murdoch(!) — early in her career. (They were both Australians, after all.) Be ready in leafing through this volume to confront a photo of Murdoch looking years younger than the terminal crone we’ve known & reviled for so long now. Thanks, Richard. You’ve motivated me to read this. I probably would have anyway, eventually, but I think I needed that push — i.e., knowing someone else found some value in it. And as you mention, there are some terrific pics in here, including RM (Rupert Murdoch, sadly, not Richard Meltzer, who, in an alternate universe, would have run his own media empire). The one of Roxon and Bangs is really great. I’m sure I’ll have more to say about this as I delve in.